But I always vaguely assumed that there were different preferences between British and American English, and wonder whether people who rely on Word’s spelling checker are aware of this. But perhaps I’m wrong. I now get increasingly insecure as students correct me for writing things like: “Next time, try focussing on …”. Looking this usage feature up in Fowler (Burchfield’s 3rd edition, 1996), I read that the “proper” spelling is focusing (is it really? ), but that “forms with –ss– are used by many printers and publishers”. So what do I do now? Do different publishers’ style sheets include spelling features like this? Lets have a vote on this, and fill in the poll. This entry was posted in usage features and tagged Burchfield, focussing or focusing, fowler, Microsoft, spelling. Bookmark the permalink. 10 Responses to Focussing? Focusing? According to the latest BBC News Style Guide, it is supposed to be focus/focused/focusing. I wonder whether there is a difference between American and British English. Interesting: I’ll tell the copy editor of my book on the language of Jane Austen’s letters, who (as I just found) just added an to my “focused”. This sounds like one I should investigate. Personally, I am quite happy to use either form, and am intrigued that so many people in your poll said that double ss was unacceptable in any circumstances. Yes, so am I: I can never remember which of the two to use in any case, so always have to look it up when (as now) I’m editing a collection of papers. This btw is also a question on which our blog is consulted EVERY DAY! Thanks, Ingrid. I also always have to double-check; clearly, many other mother-tongue speakers have to as well. I’m interested to hear that users consult your site about it every day! 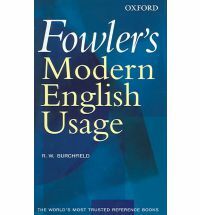 I’d be fascinated to know if you have information on recurring topics of this kind from visits to your site/blog: I’m already collecting amendments and corrections to my edition of Fowler for a possible next edition, which will have to cover e.g. focus in more depth. Kind regards, J.
Congratulations on your book: we were really pleased to hear about it. And: thanks for getting in touch. Thanks, Ingrid! ‘Thusly”. Oh dear. Dank u wel, anyway. I’m in favour of the double s because people who are not firm in English pronunciation woule otherwise be misled to read it with end sounding like “using” as in “accusing”. Focussing and fussing fit, you wouldn’t want to spell the latter “fusing” either. Ever more grammatical rules are being discarded with the argument that language should be allowed to evolve. And indeed, it should evolve, but not into SMS- or Twitter-format. There was a valid reason why focus would deflect into focussing: the “double s” helps legibility. The example of “fussing” and “fusing” may not be entirely applicable, as the first is derived from “to fuss”, the second from “to fuse”. However, pronunciation-wise the example stands. And I am afraid British publishers do not necessarily have to be right: it is not because many do it wrong that it becomes right.